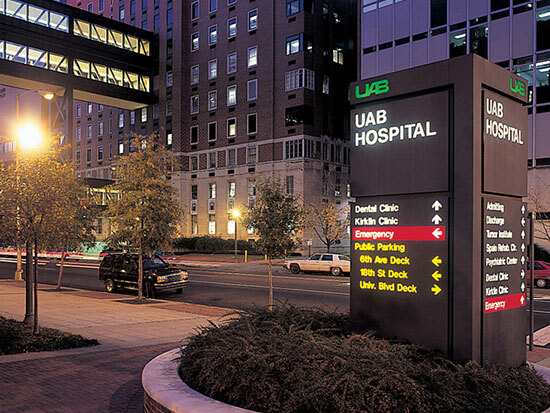 UAB Hospital is again ranked the No. 1 hospital in Alabama by U.S. News & World Report. Four medical specialties are ranked in the top 20 in the nation, and six more are ranked in the top 50. Three other specialties are listed as “high-performing” in the 2018-2019 Best Hospitals rankings released today. With ten specialties ranked in the nation’s top 50, UAB topped several peer institutions, including the University of North Carolina and Emory University, which had five and four ranked specialties respectively. The specialties ranked in the top 20 in the nation are Rheumatology (10), Nephrology (13), Pulmonology (16), Cardiology and Heart Surgery (18). Those in the top 50 are Gynecology (25), Diabetes and Endocrinology (28), Ear, Nose and Throat (29), Urology (34), Neurology and Neurosurgery (36), and Geriatrics (42). Orthopedics, Cancer and Gastroenterology/GI Surgery were listed as high-performing. Six UAB programs moved up in the rankings over 2017, with the biggest jumps seen in Ear, Nose and Throat and in Cardiology. U.S. News & World Report also ranks hospitals in adult procedures/conditions. UAB was ranked high-performing — the highest ranking conferred — in seven adult procedures/conditions: chronic obstructive pulmonary disease, heart bypass surgery, heart failure, abdominal aortic aneurysm repair, aortic valve surgery, colon cancer surgery and lung cancer surgery. Rankings like U.S. News & World Report’s are just one tool available to patients as they make informed decisions about their health care. UAB Medicine’s Find a Provider directory is a reliable source of verified and up-to-date information garnered from actual patients. The rating and reviews feature gives patients an alternative to third-party rating sites. More than 81 percent of eligible UAB physicians had a posted rating of at least four stars on the five-star scale. According to the magazine’s published methodology, the ranking for 12 of the categories is based on reputation, mortality, patient safety, and a mix of care-related factors such as nursing and patient services. The 50 hospitals in each of these specialties with the highest scores are listed. Rankings for ophthalmology, psychiatry, rehabilitation and rheumatology are based strictly on reputational scores.